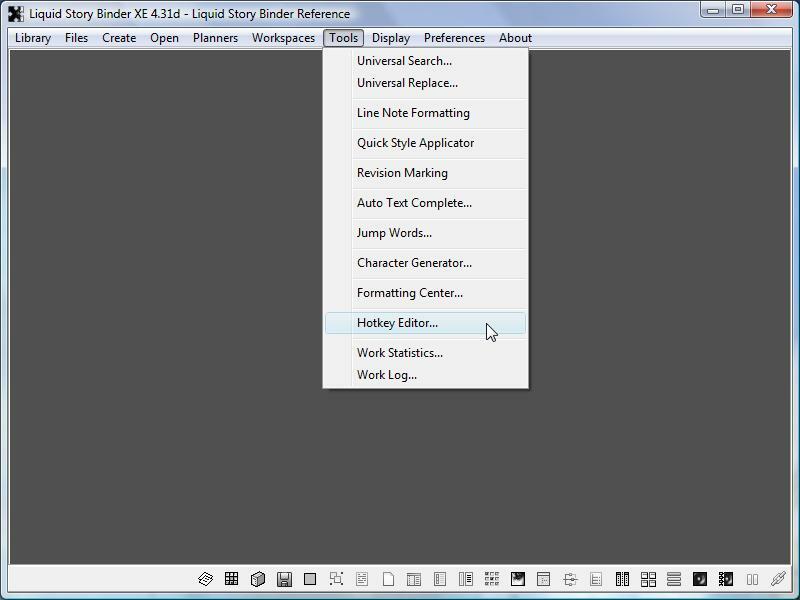 Liquid Story Binder allows you to change the shortcut keys associated with individual menu items. 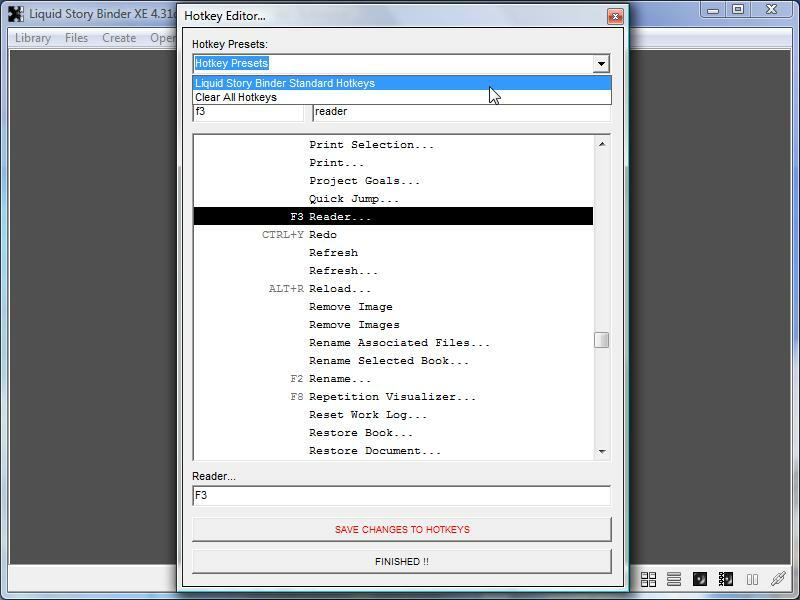 From the main 'Tools' menu, choose 'Hotkey Editor'. 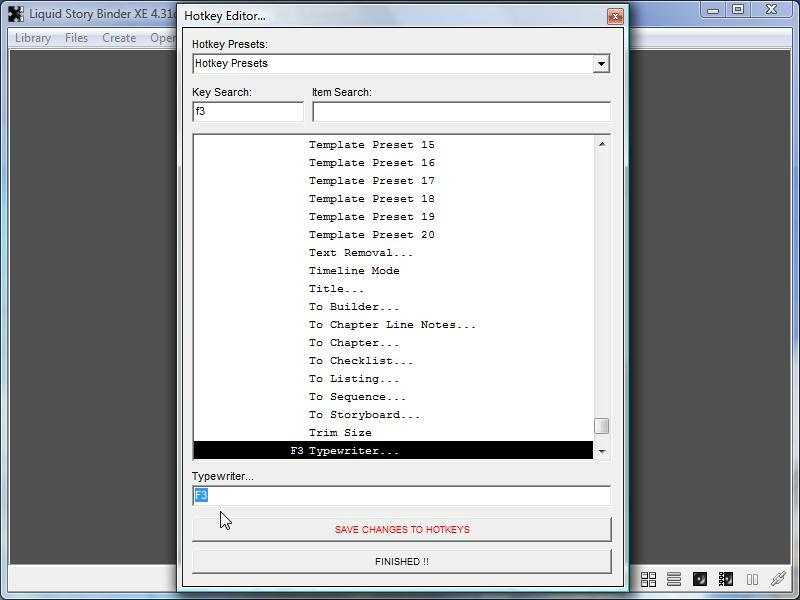 Begin by searching for an existing assignment of your preferred hotkey. In the 'Key Search' box, type in hotkey to be changed. If the key has already been assigned, remove the association using the lower most edit box found directly above the 'Save Changes to Hotkeys' button. Select the hotkey text and delete. Use the 'Item Search' box to quickly locate a desired menu option. Having selected the menu item you wish to change, manually input the new keystrokes in the edit box located below the Hotkey listing. Combine keys using the plus sign. For instance: SHIFT+R or SHIFT+CTRL+ENTER. Click the 'Save Changes to Hotkeys' button to apply any changes. Use the 'Hotkey Presets' box to return all shortcuts back to their original settings.